Since the early 2000s, Georgia has been witnessing a revival of its rich cinematic tradition, with directors drawing inspiration from the country’s complex, transitional post-Soviet period. While the first cohort of New Wave films — starting with Levan Tutberidze’s 2005 A Trip to Karabakh — examined the country’s painful recent history of socio-political unrest, the second wave of films, largely by women directors, puts the spotlight on strong female protagonists who face the myriad challenges of life in 21st-century Georgia. Avoiding pathos and often employing humour, these internationally acclaimed films depict a world where men and father figures are either dead, absent or passive, and where women take charge in both domestic and financial affairs. 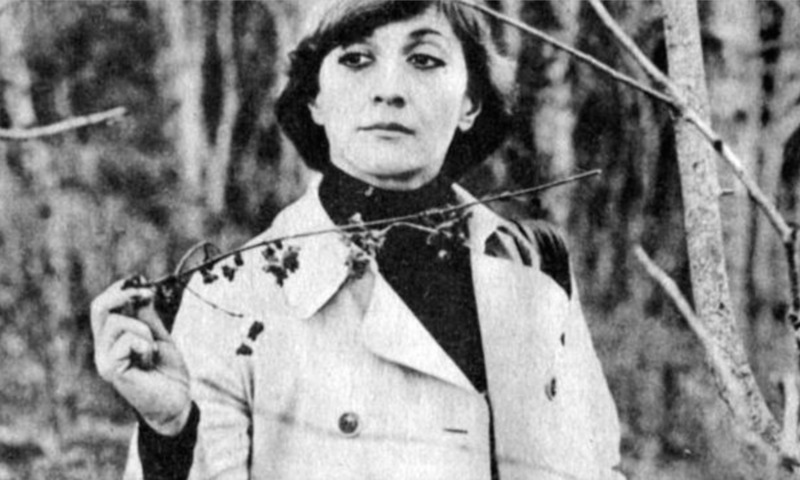 The tradition of Georgian women’s film dates back to Soviet times, most notably to one of the most overtly feminist Soviet films: Lana Gogoberidze’s Some Interviews on Personal Matters (1979). 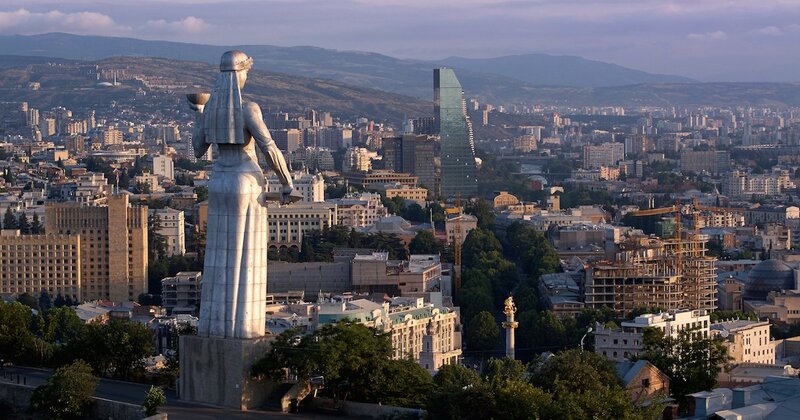 The protagonist Sofiko (Sofiko Chiaureli), a successful journalist and mother of two, seemingly epitomises the ideal of a Soviet superwoman who takes pride in working and running a household. However, behind the false veneer of a perfect family lie latent tensions which eventually tear it apart. Sofiko’s unaspiring husband is stuck in a bureaucratic job he dislikes, reprimands Sofiko for working too much and “digging in other people’s lives,” and finds comfort with another woman. Sofiko adores her job, however, and through interviewing other women about their lives, hopes and dreams realises that her own happiness is mired by suffocating familial duties. 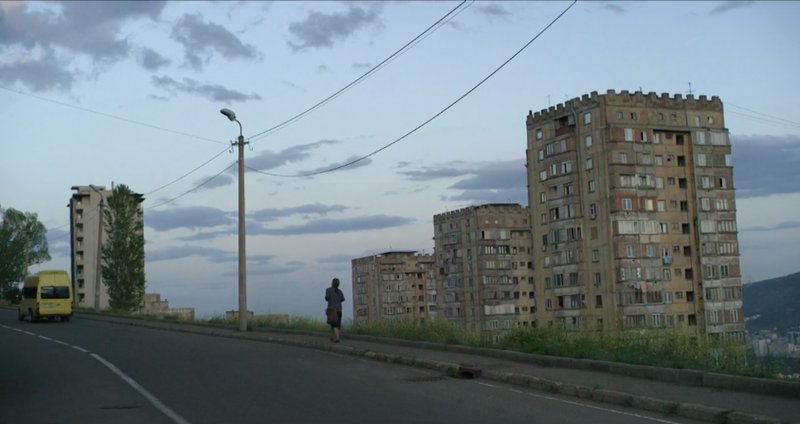 Fast-forwarding more than three decades to Line of Credit (premiered at Venice Film Festival in 2014), a film by Gogoberidze’s daughter Salome Aleksi, the female protagonist deals with not only domestic, but also economic and social challenges. The dissolution of the USSR led men in post-Soviet countries to experience a crisis of masculinity as a result of mass unemployment and loss of status. The film follows Nino (Nino Kasradze), a woman in her forties who finds herself trapped in a vicious circle of loans as she attempts to maintain the comfortable lifestyle that her family was accustomed to in Soviet times. In Nino’s world, male figures are either dead, like Nino’s father and grandfather, or lack presence. Nino’s gambler son is a source of hindrance rather than help. Nino’s husband is emotionally detached and unsupportive. 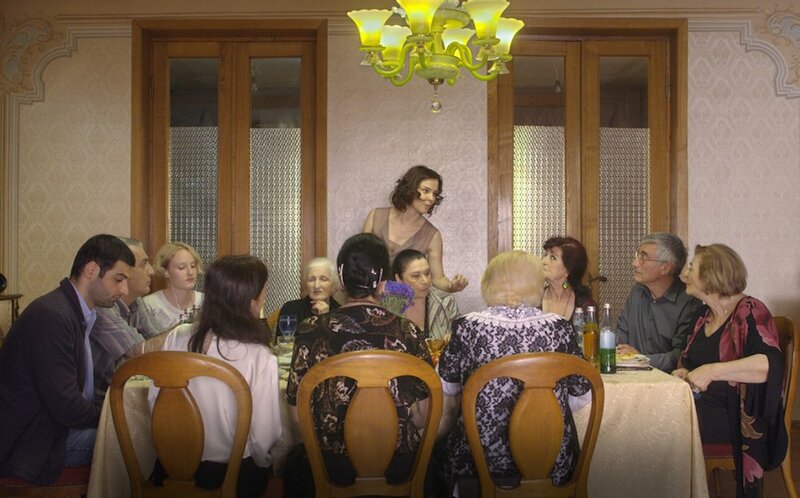 When he is dining with his friends, the only male-dominated scene in the film, a matriarch is ever-present in the form of a miniature replica of the monument Mother of Kartli, an allegorical incarnation of the Georgian nation. These lacklustre male characters are juxtaposed with colourful and resourceful female characters: Nino’s mother’s cheerful elderly friends, the hard-working bank employees, lawyers and small business owners, and Nino’s gangster-like lender with a subservient bodyguard. The gaze of the camera is observing, rather than intrusive, which echoes the neutral emotional tone of the narrative. 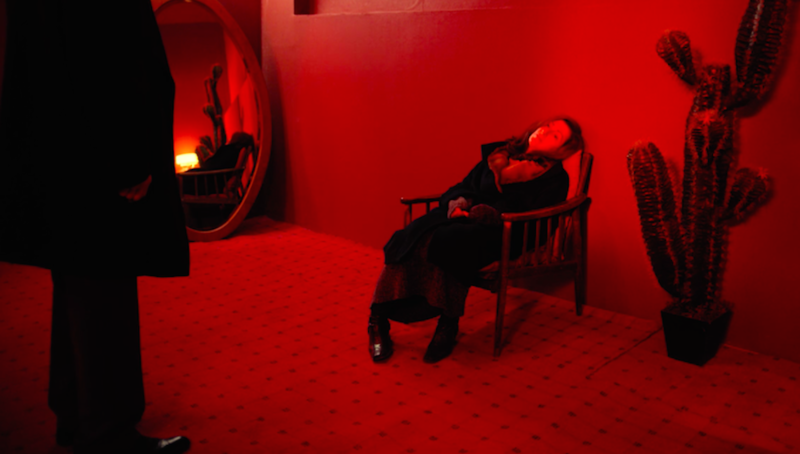 The director avoids close ups of the protagonist in order to “mechanically describe” the spiral in which “she and her surroundings reside”, preventing the viewer from delving into her feelings. But Aleksi’s is not the only directorial approach taken by Georgian directors in tackling these topics. Tinatin Kajrishvili’s semi-autobiographical Brides (2014), Nino Basilia’s Ana’s Life (2016) and Keti Machavariani’s Salt White (2011) choose a contrasting approach and focus on women’s struggles from a psychological perspective. The titular heroine (Eka Demetradze) in Ana’s Life is a single mother working four jobs to provide for her autistic son. According to its main actress, she therefore represents “the embodiment of a modern, strong Georgian woman who will fight like a tiger for the sake of her son.” The protagonist of Salt White (prizes include two awards at Cottbus’s renowned festival of eastern European film), meanwhile, is a young woman (Nino Koridze) hoping to one day run her own café, but meanwhile waitressing at a diner and a night club in the bustling resort of the Black Sea coast. Drained by work and the snappy flatmates with whom she shares a bedroom and bathroom, she shows remarkable human kindness and strength by befriending and helping a teenage homeless girl. Due to their remarkable fortitude and unwavering composure, these women are shown facing hardships and challenges in a way that evokes admiration rather than pity, with the lack of pathos combined with stunning visual aesthetics and authentic depictions of Georgian life. 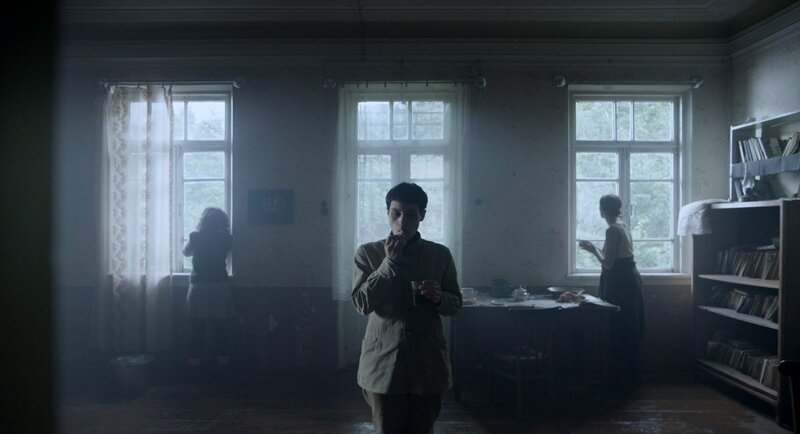 The most recent films by a younger generation of Georgian directors — chief among them, Nana Ekvtimishvili’s and Simon Gross’s My Happy Family (2017) and Ana Urushadze’s psychological thriller Scary Mother (2017) (winner of nine awards, including top prizes at Locarno and Sarajevo festivals) — are more explicit in their feminist approach. These films question the role of women as devoted, multi-tasking matriarchs and emphasise the importance of having a room of one’s own. Their female protagonists have in common not only their name and age (both are called Manana and both are in their early fifties) but also life trajectories. Sick of burdensome household chores, familial responsibilities and unsupportive husbands, these women seek independence at the cost of self-imposed isolation. 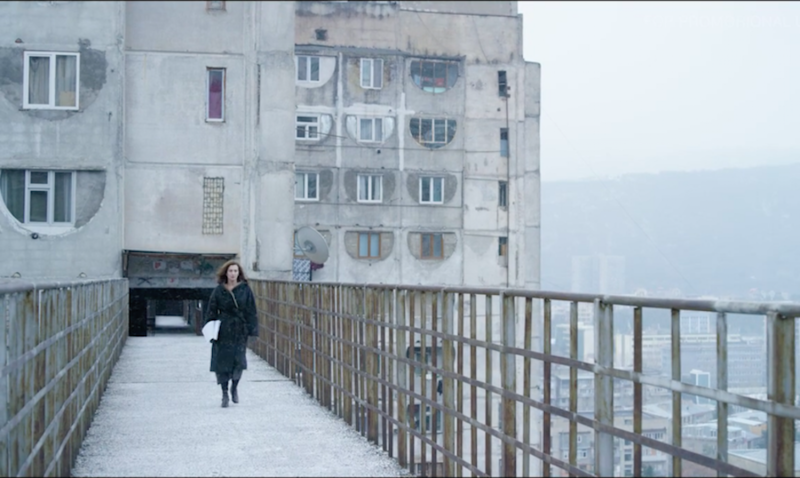 Ekvtimishvili’s Manana (portrayed masterfully by Ia Shugliashvili) moves out of the apartment which she shares with her large family and rents a flat in the outskirts of Tbilisi, a decision which shocks everyone around her. 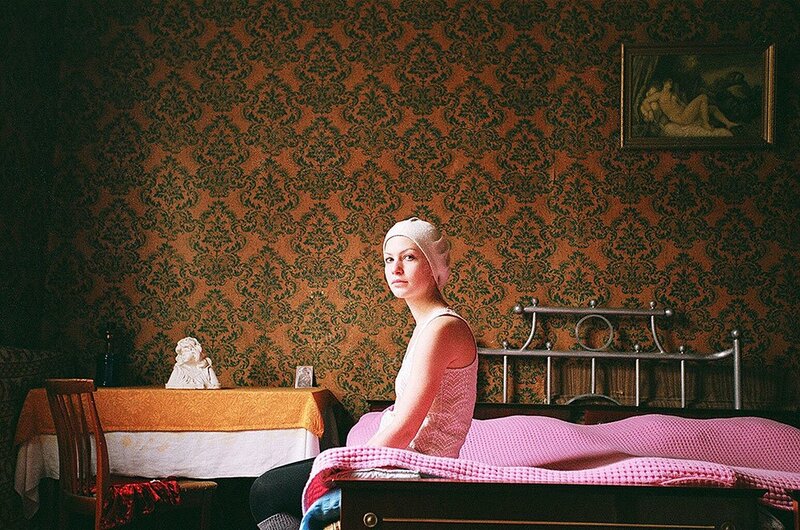 Urushadze’s Manana (a haunting performance by Nato Murvanidze) similarly retreats to a room, first within the confines of her house, and later in the house of her peculiar editor, completely devoting herself to her repressed passion: writing. Both protagonists thus refuse to live with inertia and take control of their own lives. The consequences of such an awakening are heavier for Urushadze’s Manana, who begins to lapse into schizophrenic bouts where she imagines herself a “Manananggal”, a bat-like blood-sucking monster from Philippine mythology who abandons her female form by night by tearing herself in half. Manana is similarly torn between her family and her calling. Ultimately, however, Manana’s decision to sacrifice all for her craft and become a monster in society’s eyes empowers her. Manananggal’s attack on motherhood (she quite literally kills pregnant women and devours their foetuses) echoes the protagonist’s own subversion of social expectations surrounding motherhood. The differences in the protagonists’ moods are reflected in the films’ contrasting colour schemes. 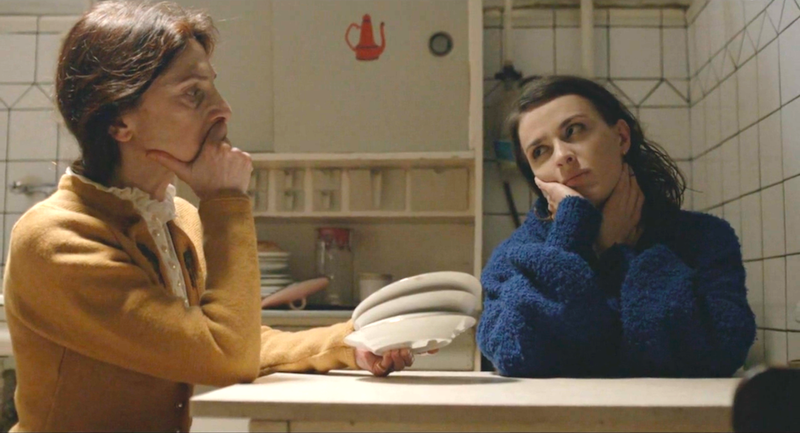 In Scary Mother, the cold grey palette of brutalist Soviet tower blocks clashes with the bright red of the room where Manana shuts herself, signalling the character’s growing emotional instability. On the other hand, the palette of My Happy Family is warmer, consistent and reserved, mirroring Manana’s calm disposition. Turquoise, the dominant colour in her classroom and new apartment, hints at her hopeful attitude. Hope, as the film’s wider theme, is associated with younger generations. Manana’s young female student prompts her to dare to be alone, while her daughter is the one who most supports her decision. They are part of a generation at the forefront of the changes to patriarchal society in Georgia — a generation set to serve as the next subject for the country’s burgeoning film scene — and with the bar set so high by today’s female directors and protagonists, the future is bound to be more exciting than ever.